Spanish for 'Black Storm', the Tormenta Negra is a twist on the classic rum and ginger beer cocktail. BACARDÍ Carta Negra rum creates a more intense experience. An intriguing balance of spice and sourness makes this a true original among rum cocktails. New York City bartender Audrey Saunders is a legendary mixologist. Inspired by BACARDÍ Reserva Ocho rum, she created a new cocktail to showcase it. A sparkling combination of rum and prosecco, the Old Cuban is on its way to becoming a modern classic. Inspired by long, tropical nights, the Nocturno is made with BACARDÍ Carta Negra rum for added punch and intensity. Burn the orange garnish for a smoky finish to this after- dark sipping cocktail. Bold yet smooth, BACARDÍ Carta Fuego Rum is the fiery one of the family. Made with a secret blend of flavors and spices, BACARDÍ Carta Fuego brings a daring twist to a classic rum and coke. We're passionate about rum cocktails. 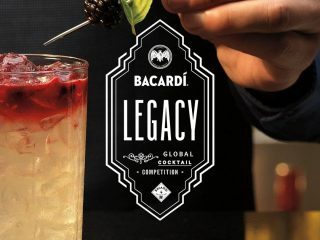 So once again we're proud to sponsor the BACARDÍ Legacy Cocktail Competition. 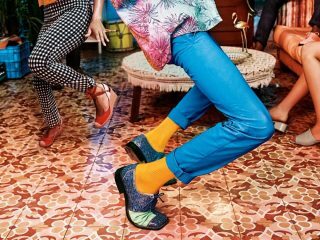 The search for the world's master mixologists is on.